With our wedding falling on a bank holiday weekend next year we decided we best get the ‘save the dates’sent out before Christmas. We wanted something different that was personalised with our colour scheme. 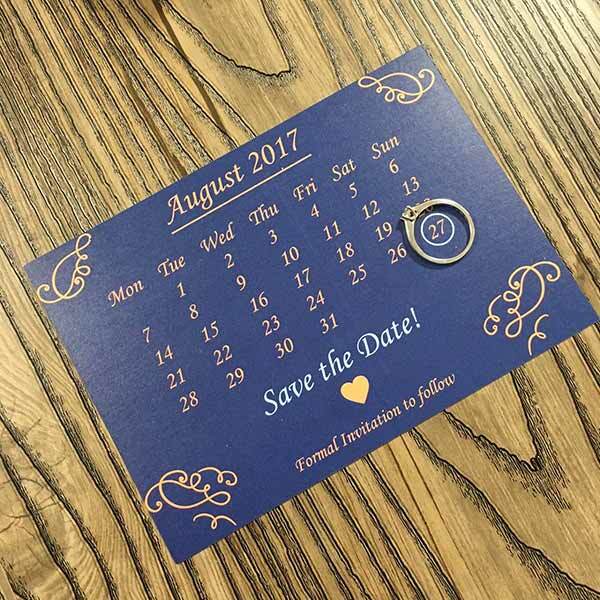 We didn’t want a generic pre-designed save the date template, we just wanted to design it ourselves and have them professionally printed. Using Avery WePrint we were able to achieve just that! I created a simple design using their online tool and was easily able to upload the images I needed. 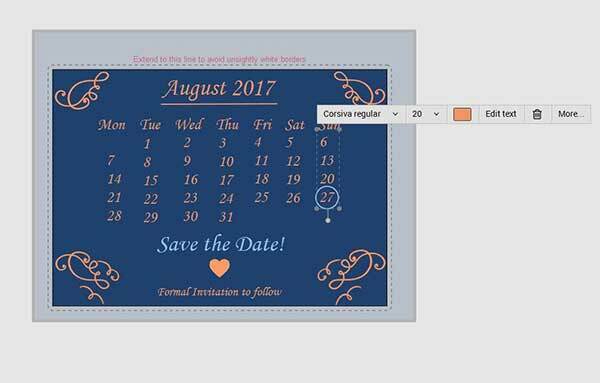 Using the text tools in the designer I was able to create a unique design with a marked calendar. 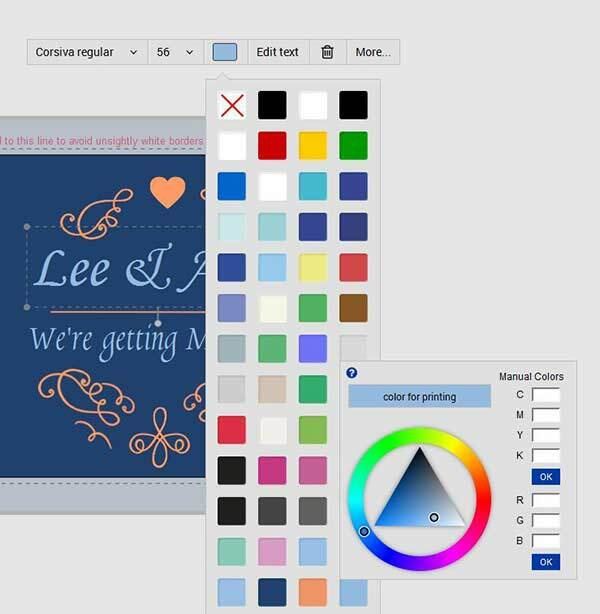 This was something I’d seen online and I was surprised at how easy I was able to recreate in the WePrint designer. I was also able to insert the CMYK colour codes for our chosen colour scheme to make sure that the cards printed the exact colours we needed. I then finished off the front design by uploading some images of us which added that personal touch to the cards. The designer was very clear about the boarders so I knew that I was defiantly keeping within the margins whilst ensuring the background went into the ‘bleed area’ so that I wouldn’t get a white boarder around my design. 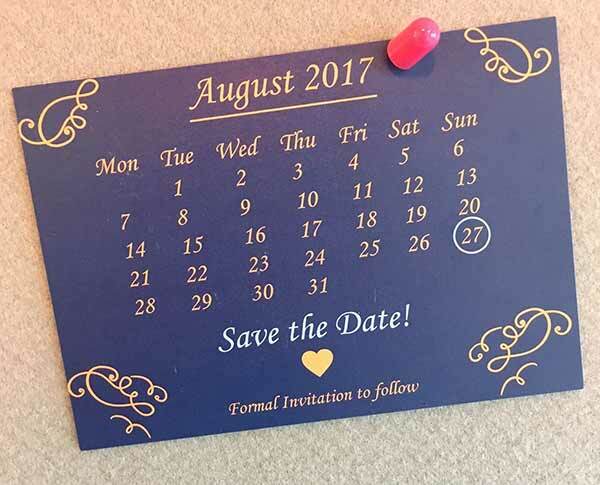 We used the double sided A6 Postcards which we thought was the perfect size for a save the date card. The online system allows you to flip between the front and back of the cards which helped greatly to ensure that they printed the right way, as well as a flip preview before I confirmed the purchase to ensure I was happy with the design. Being able to buy them in bulk meant that we got a great deal on the price and I had plenty of cards to cover all our guests! 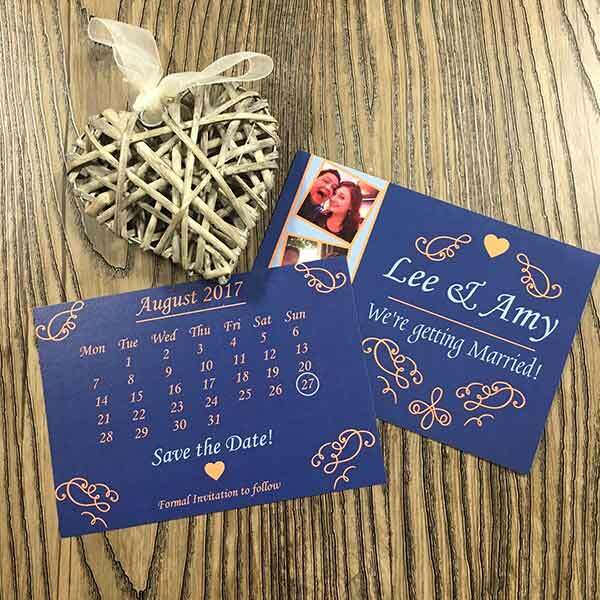 The ordering process was simple and the cards were printed and with us within a week of placing the order. We love the simplicity of the design and it feels more special that we were able to create them ourselves yet have them professional printed, they look fantastic on our friends fridge’s and notice boards!